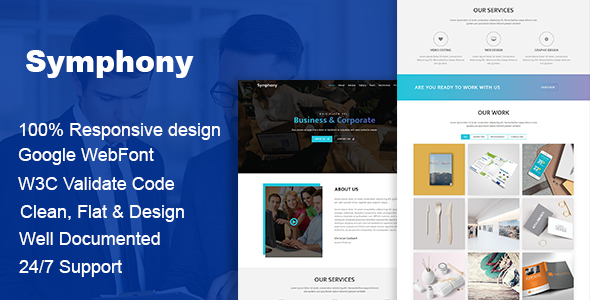 SYMPHONY Multipurpose Business Template is a uniquely HTML template develop in HTML with a modern look. HTML files are well organized and named accordingly so its very easy to customize and update. All files code have been well organized and nicely commented for easy to customize. It’s 100% super responsive and it works nicely on smartphones, tablet, & Desktops. Our mission is to provide 100% user-friendly template. So that every client successfully creates their websites.